The company, Steam Jenny invented their version of the steam cleaner in 1927 which has had a huge impact in the cleaning industry. They have been leading the way for the 70 years and as a result are one of the most experienced and knowledgeable in this industry. 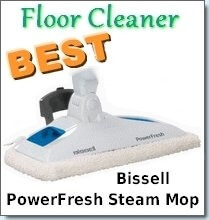 Their steam cleaners are capable of quickly, efficiently and thoroughly cleaning which reduces the amount of man power needed to complete a cleaning job. 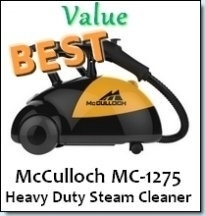 They have branched out and create much more than just steam cleaners. They manufacture different lines of hot and cold pressure washers, air compressors, ventilation equipment, rotary compressors, waste water treatment, cleaning chemicals and much more. Since this article focuses on only steam cleaners, we shall have a closer look at Steam Jenny’s offerings. 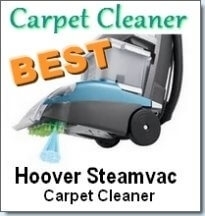 Their current line of steamers is separated into two categories: oil fired steam cleaners and gas fired steam cleaners. There are 3 models currently available in this section and include the Steam Jenny SJ 70, SJ 100 and SJ 120. The main technology behind these steam cleaners is Jenny’s twin fire modular gun burner system. This has a 18,000 Volt electrode system and a 200 PSI 3.0 GPH Fuel Pump. This allows the machines to efficiently combust diesel, kerosene, JP-4 Jet Fuel and home heating oil. These steam cleaners, do not in fact only emit steam. Rather, steam is a by product of highly pressurized heated water. These steamers emit pressures between 100 and 200 psi and the high temperatures at which the water and steam is emitted actually causes the detergents to perform better. As a result, it is better to use steam cleaners to clean grease and dirt because it allows you to use less water and milder (safer) detergents as oppose to a pressure washer. 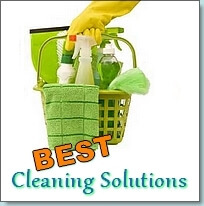 These machines are very easy to use, reliable, easily serviceable, durable and safe to use. You never have to worry about searching for controls as they are all located in the center of the front panel. These machines are very durable and sturdily built. The chassis is made of heavy duty powder coated 10 gauge steel. You also get a 5 year limited warranty on the chassis if that wasn’t enough! These units were created to use Natural or LP Gas. It has a steam volume between 70 GPH and 300 GPH. Like the oil fired steamers, the gas fired are very safe to use, reliable, efficient and durable. They come in 7 different models like the SJ 70, SJ 100, SJ 120, SJ 150, SJ 180, SJ 240 and SJ 300. There are older models which include the Steam Jenny 760-C and E-300-C steam jenny which are no longer available. When you buy Jenny steam cleaners, you know you’re buying a quality and durable product. They were manufactured to the highest standards with only the best manufacturing techniques. You can definitely count on your Steam Jenny to last a very long time indeed.